Over the last couple of years I have been helping enterprises both private and government with their journey to the public cloud or hosted private cloud. Now while I have been there designing and implementing the technical side of this journey I also try and help on the people and process side, as they are both required to be successful. Technology is the easy part of moving your business to the cloud. But it doesn’t matter how good or easy the technology makes it, the move to cloud will fail if the people and process don’t evolve or change along with it. 1) Government agencies is not motivated by saving money, where private its all about those dollar bills. 2) No one in a government position can be fired and they know that, Private can more easily remove people who are blockers to them saving/generating money. 1) Reason – What is the reason to start a project to move into cloud? If the move to cloud is a knee jerk reaction that has steamed from a report or service provider disputes etc, might be good to step back have a think, take the time to assess. Rushing will end in failure. 2) Applications – Are your applications ready to play nice in the cloud? 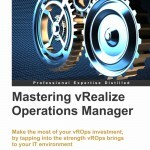 Will you be taking the time to re-architect your applications to suit cloud. ie not just take what you have on prem and dump it into the cloud.seen so many organisations grab their monolithic applications running huge cpu and ram requirements, generally works ok then the bill comes in or doesn’t perform as expected. 3) Costing – If moving to the cloud is motivated by cost, Have you done a proper cost analysis will it actually be cheaper?I have seen on many accounts that price was a motivator but due to scale and or usage, moving to public actually cost considerably more. 4) Culture – Is your organisation’s culture ready to adapt to the rapid change of pace that cloud computing brings to the table? Change is a big thing, some people love it, others hate it. I would be a rich man if I got a dollar for every time I have heard “but this is how we have always done it”. 5) CMP – Do you have a CMP? 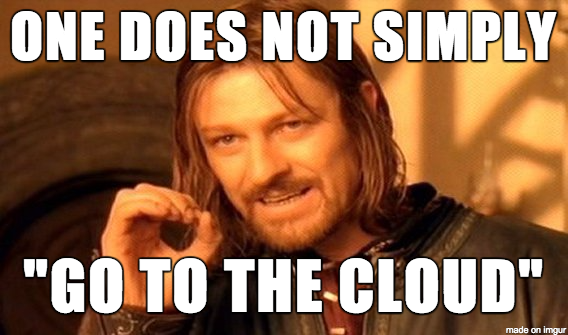 Even if your only looking at consuming a single cloud provider a CMP can simplify authentication, governance, audit-ability, processes and lower the operational effort in managing cloud portals and offerings.I have seen operation teams running around managing multiple portals multiple authentication sources and tracking individual usage, Its not pretty. A CMP can make a huge difference. Moving to the cloud is a big change for a lot of organisations, in both the technology and the people aspect. It will rarely go smoothly but then again a journey is not fun without the ups and downs along the way. ACME corp has been directed by the CIO they have to start moving their development and test workloads into the public cloud by the end of financial year to save costs. But in moving ACME just took existing VM sizes and created the equivalent sizes in the public cloud. Adding to this the culture was very rooted in the idea of servers are pets and they stay on 24/7 even for development environments etc. While the move to public cloud was money driven and if done correctly could have been cheaper. Where it went wrong is the organisation was rushed into moving, no re architecting of the application had occurred which blew out the costs being such large machines in public cloud, and the culture was not ready for the pay for what you use style, which added more cost. While on paper it should have been cheaper it ended up be more expensive.